Parrot Gallery is a project of artists and musicians worshiping at Community Mennonite Church of Lancaster. 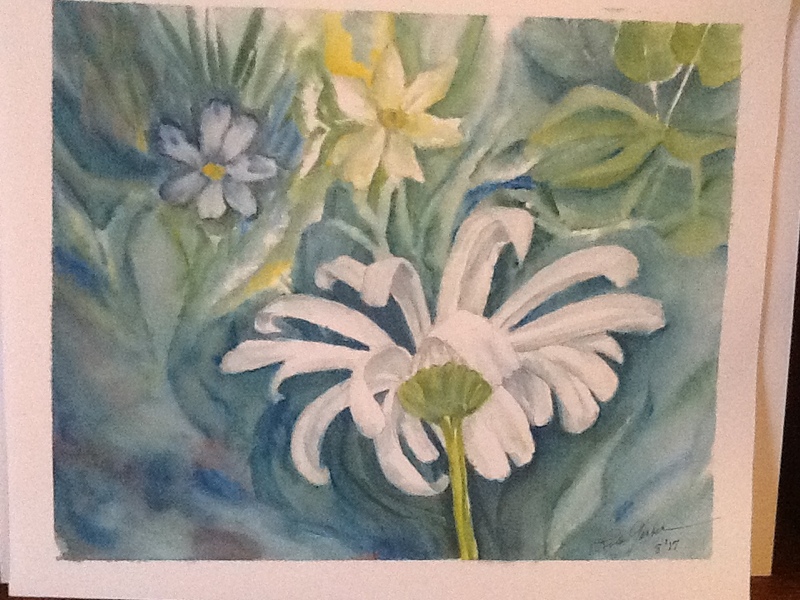 Art exhibits are open for downtown Lancaster First Fridays and by appointment with church office. Regular gallery talks are scheduled with each featured artist. 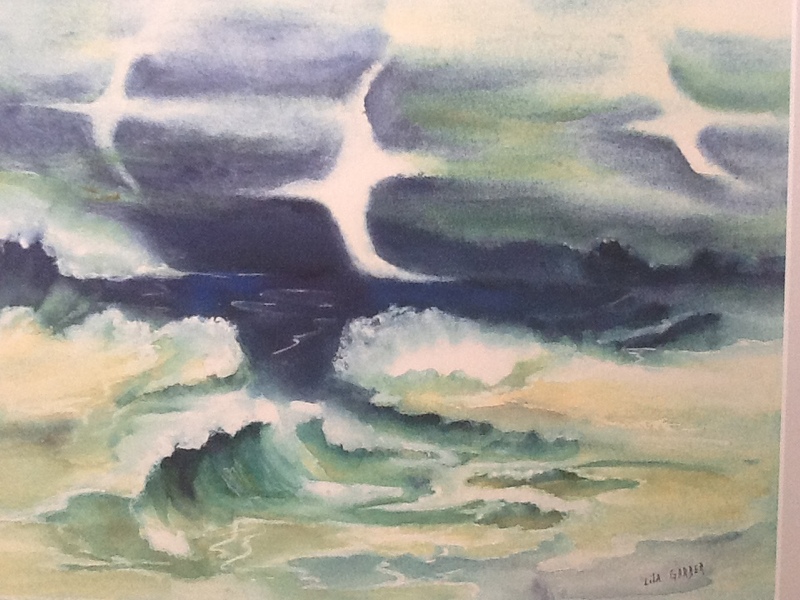 The Parrot Gallery at 328 W Orange opens a new exhibit,“Passages,” with watercolorist Lila Garber’s latest work on First Friday, 5-8 p.m., March 1, 2019. Garber’s life passages have been personally agonizing in this eighth decade of her life. Her present studio work is becoming a lifeline as she mourns three deep losses—downsizing from her Akron home with its professional framing business and studio, experiencing the extraordinary loss of her husband Daryl Garber to dementia, and now facing the haunting prospect of her own progressive memory loss. Making art in her Lancashire Terrace studio with her companion cat, Lou, is a contemplative process for Garber that brings her internal and external worlds together. Art-making now gives her fresh energy to move forward. She admits candidly that currently her artwork is “what it does for me” as opposed to “what it does for viewers.” And Garber never had imagined what a comfort a cat can be! Something alive greets you when you come home! Lou’s favorite bird-watching station is on Lila’s studio table. After Daryl’s death three years ago, her grieving initiated a dry period that hindered her familiar creativity. Daryl had experienced their smaller quarters only four months prior to his death, and then she was completely alone without her spacious studio and framing workspace. 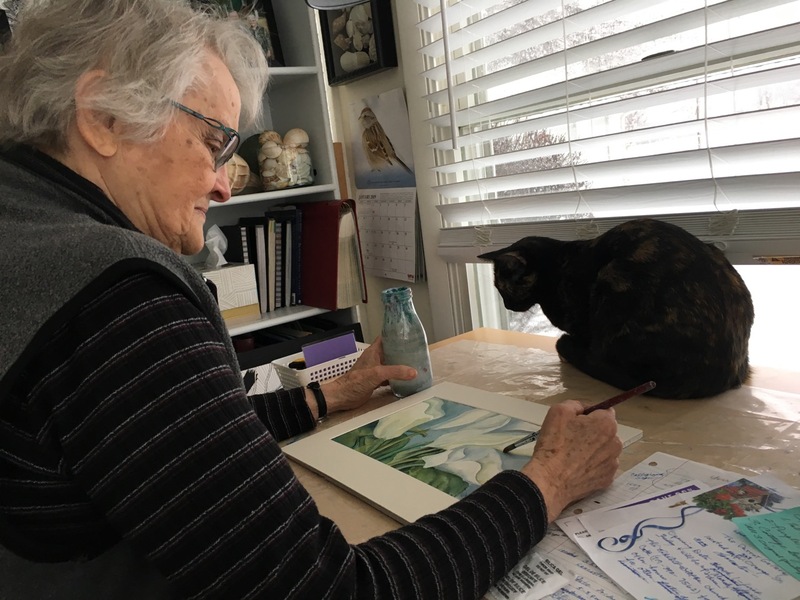 The loss of customer interaction surprised her—it had been a public service for her and a way to honor the individual stories of artists who brought their works to her for framing. Since Daryl’s death in 2016, Garber began noticing some personal memory loss that she chose to ignore. But as it advances, she no longer tries to hide it from others. She adds a delightful laugh when a thought or name eludes her. And how gratifying it is for her still to have ready access to her studio skills. With fifty years of self-study in drawing and painting, Garber studied fine art at Millersville University, where her second son Kevin had also studied printmaking with Robert Nelson. 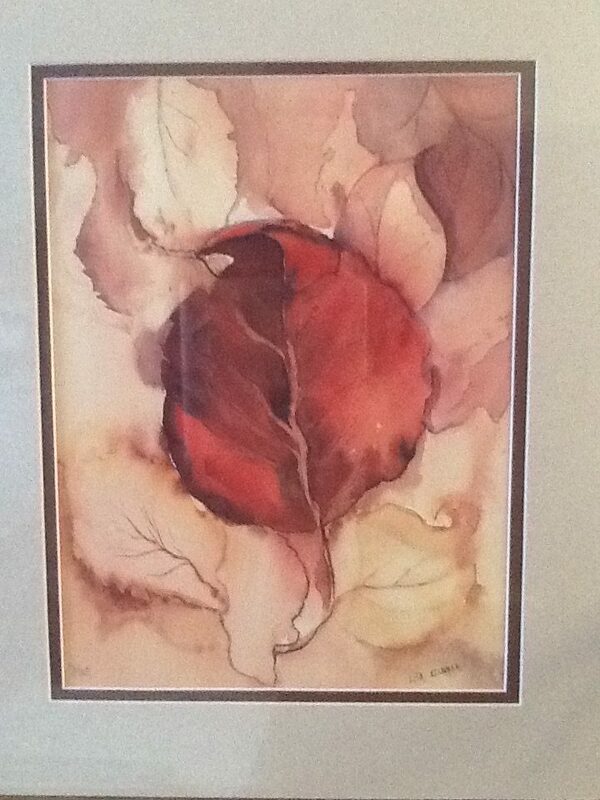 After decades of work in watercolor, her recent work also has been in acrylics as well as collage. Strong family support from her sons and their families accompanies her studio work. Life circumstances and passages touch everyone. This exhibit is no exception. “Passages” runs from March 1 through April 28, 2019. The Parrot Gallery is open on First Fridays and Sunday mornings. Call 717-392-7567 for week-day viewing.